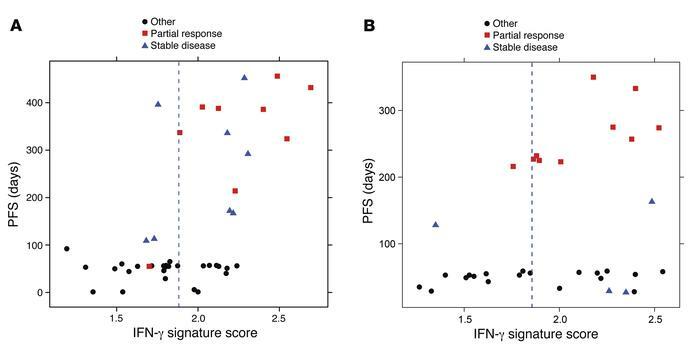 Relationship between increases in IFN-γ immune-related signature score and PFS in response to anti–PD-1 therapy for the HNSCC and gastric cancer cohorts of KEYNOTE-012. (A) Relationship in the HNSCC cohort (43 total patients). (B) Relationship in the gastric cancer cohort (33 patients). The cutoff associated with the Youden index is displayed in each figure.